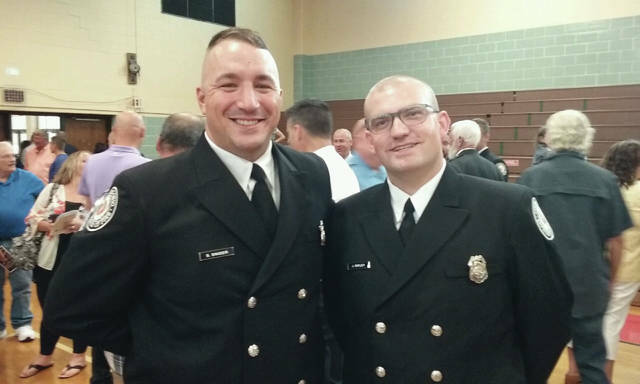 Two Sunbury men, Steven Snider (left) and Joshua Ripley, graduated from Columbus Fire Fighters Academy on Friday, Aug. 10. This was the 106th graduating class from the academy. The two men grew up in the Sunbury area, are Big Walnut graduates, were in the same Boy Scout troop, and have know each other a long time. Snider will serve at Columbus Station 2 and Ripley at Columbus Station 22. Congratulations Joshua and Steven!